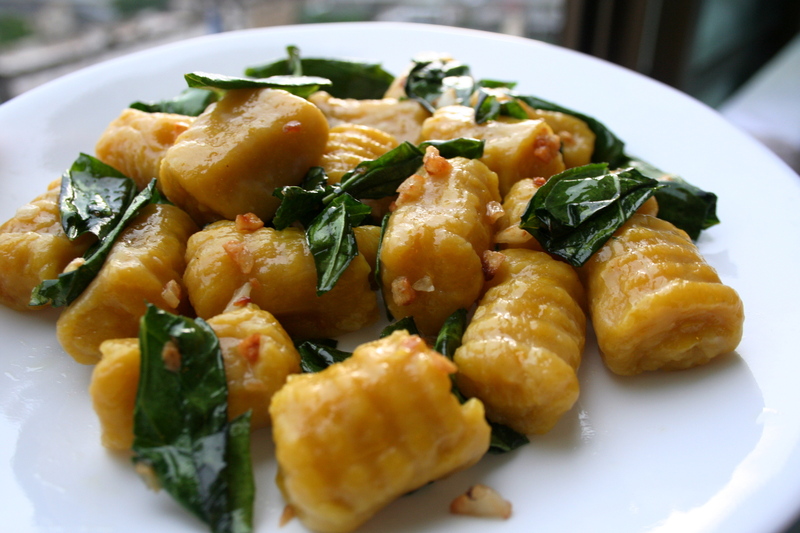 There’s a lot you can do with gnocchi, but I wanted to keep it simple. 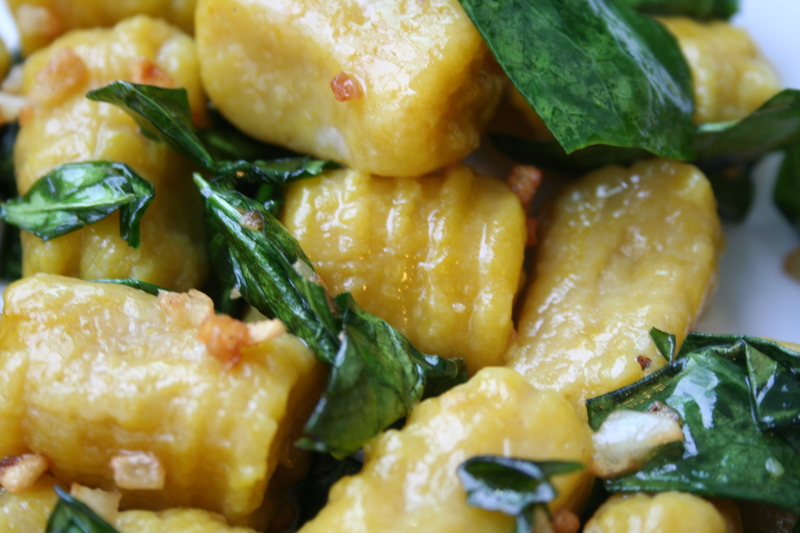 The gnocchi is simply pumpkin and flour, and the sauce is olive oil, garlic, kale, and salt. The ingredients are few, but this dish is still very flavorful. You could surely throw in some spices or change up the vegetables. Throw in some vegan butter and fresh sage leaves if you so desire. A note about the pumpkin. 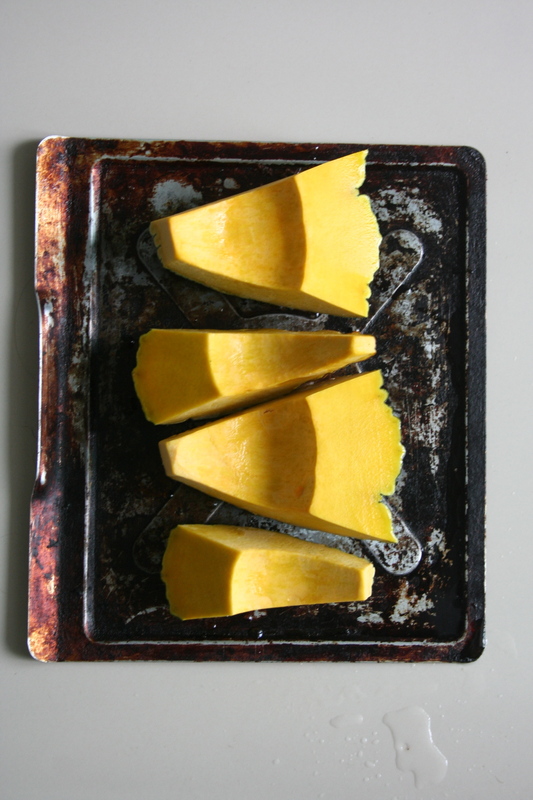 If you have fresh pumpkin on hand, you’ll want to roast .75 kg at 400°F for an hour and a half. It should be soft enough to scoop from the shell. Mash it a little with a fork and it’ll be good to go. Canned works just fine too! Depending on the water content of the pumpkin you’re using, you might need more or less flour, so adjust as needed. 1. 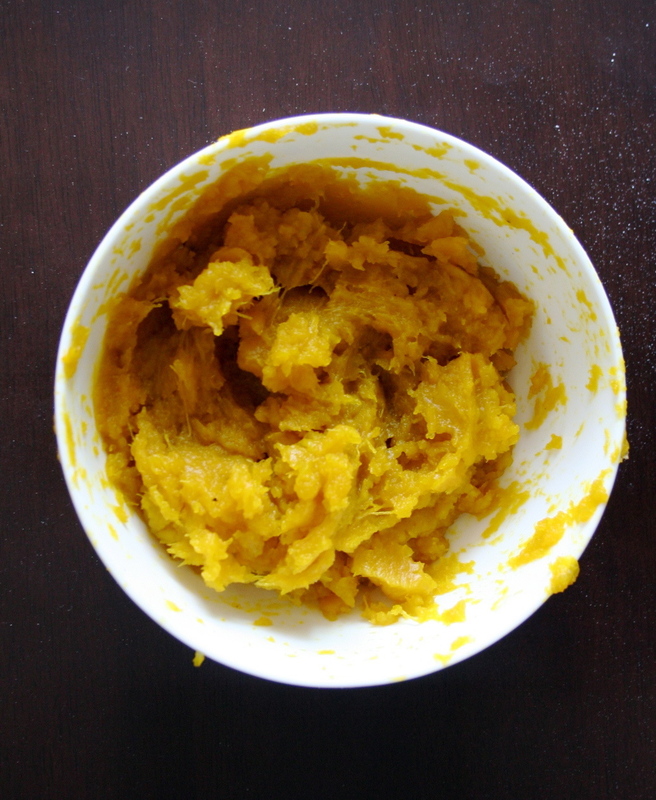 Combine pumpkin and 1 cup flour in a bowl. 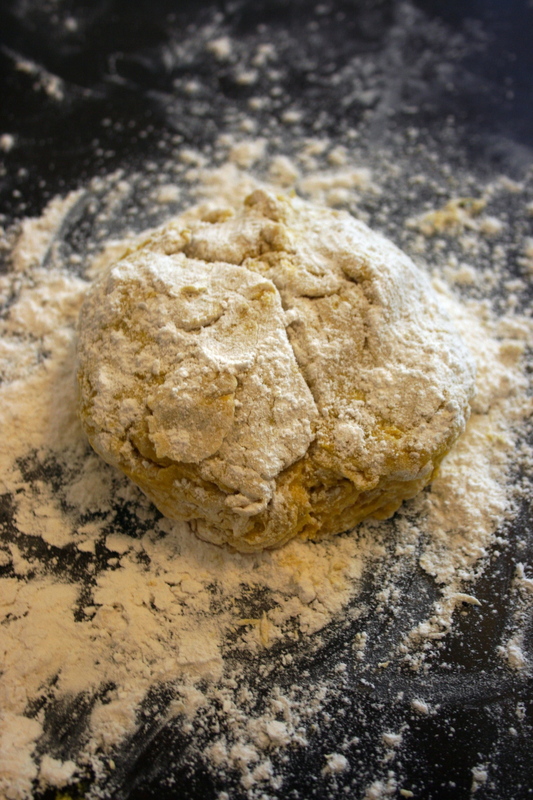 If the dough is sticky, add more flour. It should be soft, but not sticky. Don’t knead it! 2. Divide the dough into four equal pieces. On a floured surface, roll the pieces out into snake-like shapes, about a foot long, or as thick as your thumb. 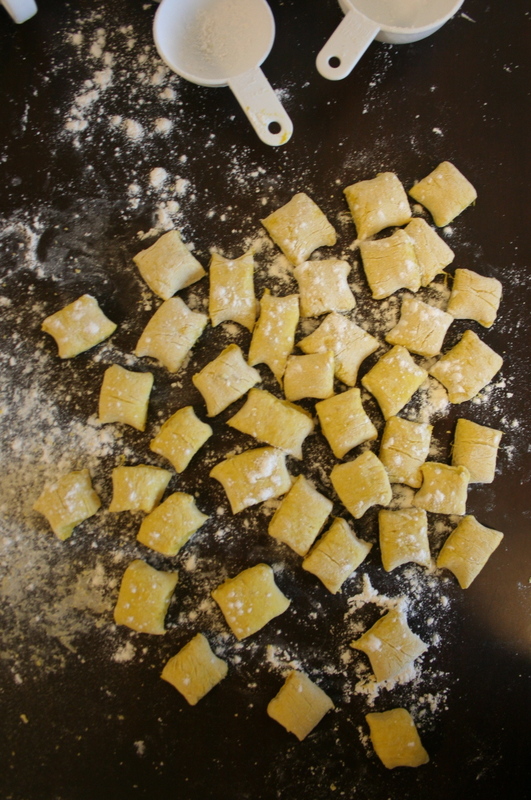 Cut the long dough piece every inch to create little gnocchi pillows (see photo above). 3. Next, using a fork (or a gnocchi board if you’re fancy), roll the gnocchi down with your thumb to create the indents and elongate the pieces. 4. Bring a large pot filled with water to boil. Salt the water, and gently drop the gnocchi in, making sure not to over crowd (I did three batches). 5. 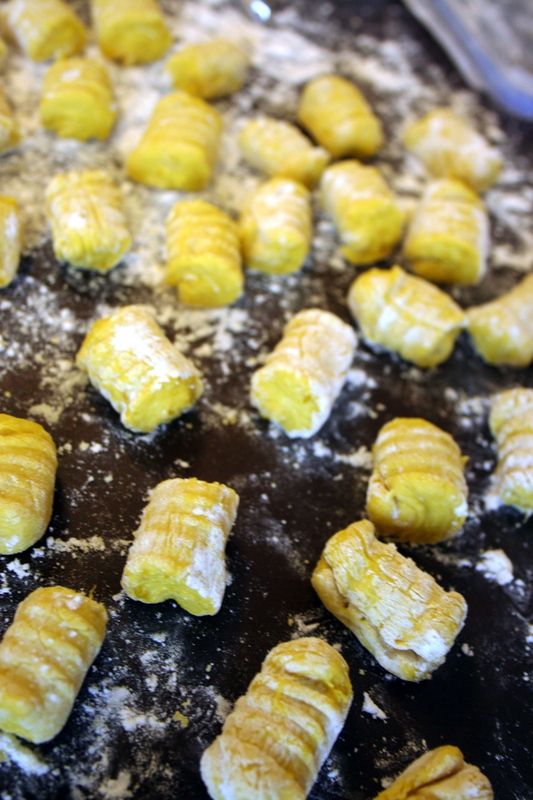 When the gnocchi floats to the surface (about five minutes), wait 30 seconds, then remove with a slotted spoon and drain. Repeat until they are all cooked and set aside. 7. Place the gnocchi in a medium bowl. Pour the olive oil/garlic/kale mixture on top. Add salt + pepper to taste, and more olive oil, if desired. Finished! This entry was tagged entree, pasta, pumpkin, vegan. Bookmark the permalink.